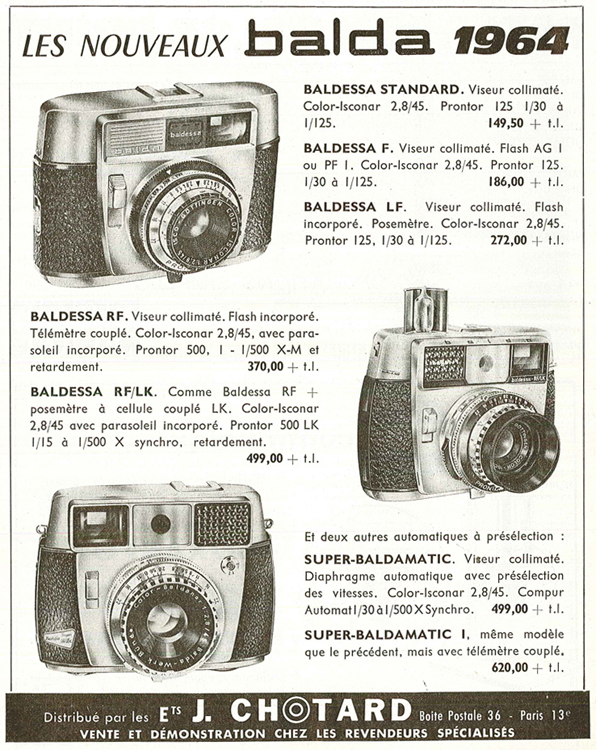 Baldessa F has a collimated finder. 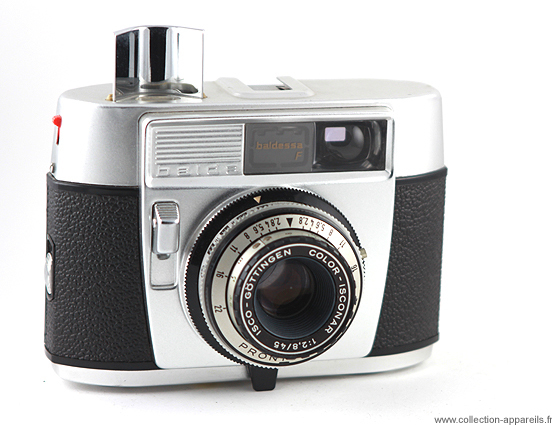 It is equipped with a clip for flash, but also with a site and a deflector to receive a AG-1 bulb of flash . Its shutter is Prontor 125. The lens is Color-Isconar 28/45 mm. This 35 mm dates from the middle of the 60s. 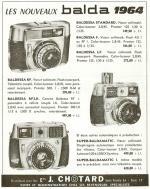 In the Natkin catalog of 1966, it was worth 191 francs.